The Ormond 5k Run Committee is chaired by (Chris Naquin). Run for your Health, Give from the Heart, Proceeds to Benefit community needs. **Race is part of the South Louisiana Running Series (administered by New Orleans Running Systems Inc.) Scoring for the Ormond Classic is by Timed Sports Systems, Inc. THE ORMOND CIVIC ASSOCIATION SAVE OUR OAK 5K FALL CLASSIC!!! 2017 RACE IS SUNDAY, NOVEMBER12th! After a couple of years of a hiatus the Ormond Civic Association brought back the Fall 5K race to Ormond in October 2012. The race was a huge success, and we all look forward to hosting the 5k race for many years to come. The race course begins and ends at Cypress Lakes Country Club in Ormond, which is located at 10 Villere, Destrehan, LA 70047. If you have questions about the race, registration, sponsorship opportunities, or would like to volunteer to help please feel free to fill out the form above with your comments or questions. 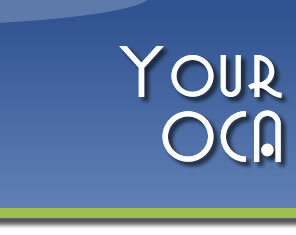 You may also email me, cnaquin@ormondcivicassociation.org or call me directly at 504-390-1500.